Functions act as rules that transform inputs into outputs, and they differ from equations in that each input must have only one corresponding output. For example, imagine a robot: Every time you give it an apple, it promptly cuts that apple into three slices. The following table summarizes the first few inputs and their corresponding outputs. From the table you see that the output will always be triple the input, and you can express that relationship as the function f (x) = 3x (read “f of x equals three x”). As you might have guessed, an exponential equation has a standard function notation as well. Here we’ve used g in place of f for visual clarity. Know that the letter used to represent a function (f, g, h, etc.) is sometimes arbitrarily chosen. Just as before, g(0) represents the initial amount and r represents the growth (or decay) rate. Recognizing that function notation is a variation of something you already know will go a long way toward reducing nerves on Test Day. You should also note that graphing functions is a straightforward process: In the examples above, just replace f(x) or g(x) with y and enter into your graphing calculator. 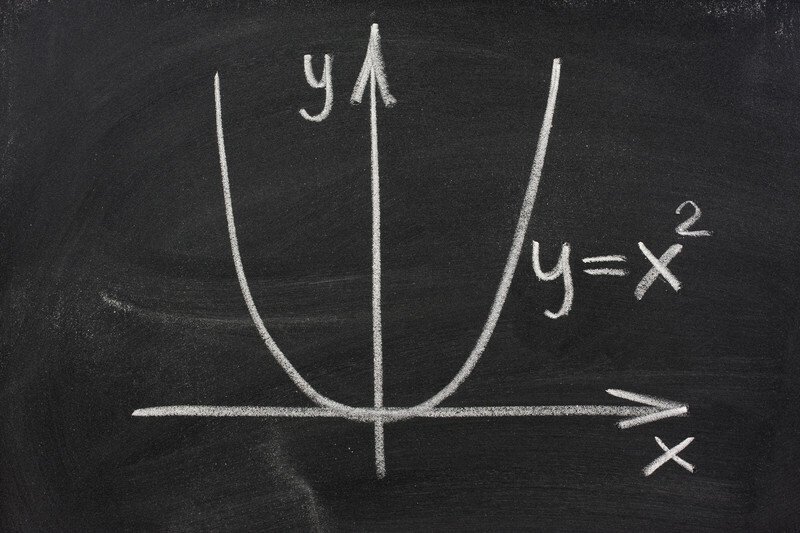 A quick way to determine whether an equation is a function is to conduct the vertical line test: If a vertical line passes through the graph of the equation more than once for any given value of x, the equation is not a function. Below is an example of a test-like question about functions. 1. If f (x) = x 2 – x for all x ≤ –1 and f (x) = 0 for all x > –1, which of the following could not be a value of f (x) ? Use the Kaplan Method for Math to solve this question, working through it step-by-step. The following table shows Kaplan’s strategic thinking on the left, along with suggested math scratchwork on the right. The question is asking for the answer choice that could not be in the range of this function. How can you determine which of the four choices is not part of the range?You’ll need to examine each piece of the domain individually to learn more. First, summarize each piece of the domain description.Can you use the domain information to eliminate any answer choices? What happens when x > –1? Because the range is 0 when x > –1, you can eliminate B. Once broken into simpler pieces, this function question became much easier. Read on for more information about other ways the PSAT can test your knowledge of functions. You might be tempted to plug the answer choices in and solve for x, but this will cost you valuable time. While Backsolving can be a strategy of last resort on problems like this, it takes far too long. Use it only if you can’t approach the problem in any other way. The PSAT will reward you for knowing the quickest way to answer the question, which in this case involves knowing number properties.